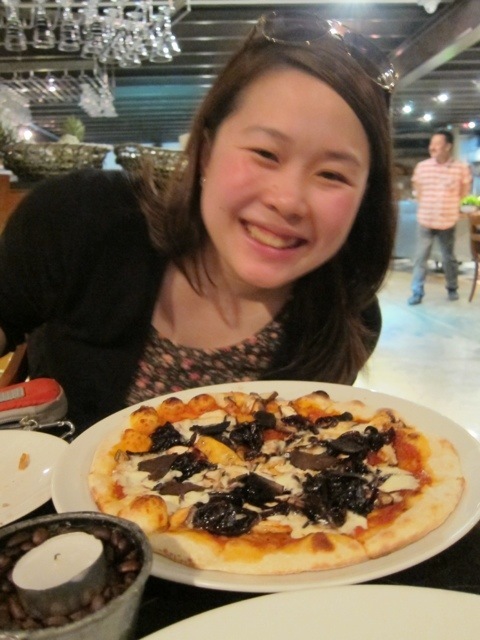 This is Simple Eats’ first post about a restaurant abroad. I’m glad that it will be about Kuppa. 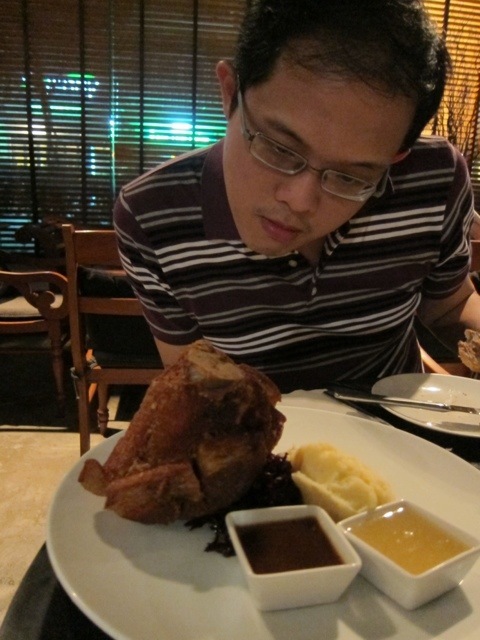 Every time I frequent Thailand, I’d really go out of my way to go to this restaurant -Kuppa. I cant say it’s a small one as the restaurant can sit around a hundred or so but this stay restaurant is tucked in Sukhumvit Soi 16. Now, Soi 16 is street for upscale residential apartments. And it’s one of those side streets. Since we were booked at Grand Centrepoint Sukhumvit Terminal 21 which was in Soi 19, we decided it would be a short walk. The flight was at 135AM so there was more than enough time to spare. We decided to leave the hotel at 530AM. It would have just been a 20minute leisure walk if we didn’t go the other way. We ended up walking for a little less than 1 hour. Kuppa is known to be once a hideout of the CIA. 8years back, when very few Thais know how to speak English, the service staff in this restaurant can easily converse in English already. Owned by an Australian, it’s simple yet elegant decor hasn’t changed since I started dining here. 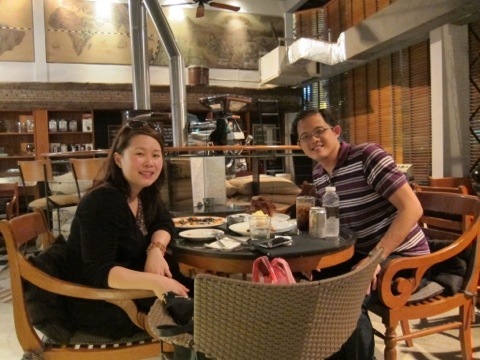 We were seated in front of their coffee roasting machine. This was my first time dining for dinner. Usually, I’d come here for brunch or lunch. The restaurant opens at 10AM to 11PM. 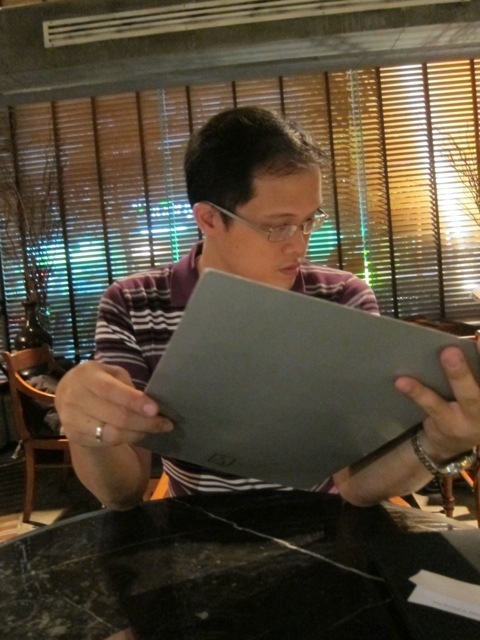 While hubby was browsing through the menu, I knew what I wanted to order. 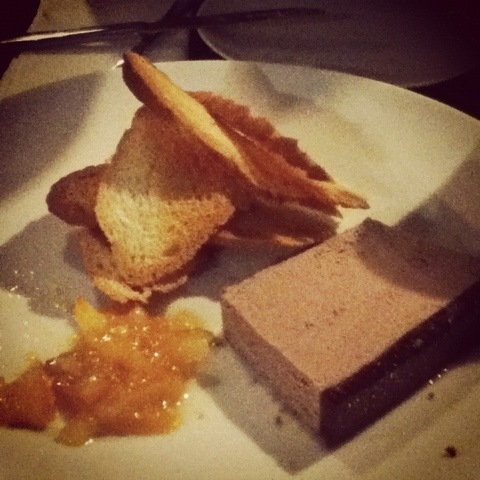 My usuals – the duck liver parfait with french baguette for appetizers and a roasted pork leg on a bed of cabbage and a side dish of mash potato for entrees. 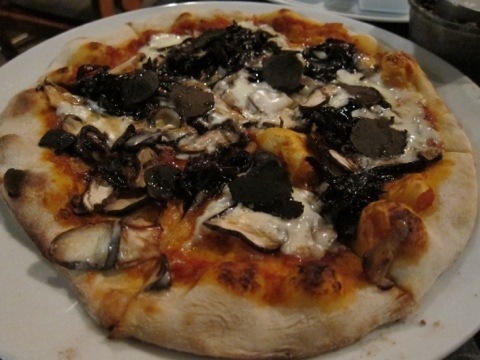 Hubby decided to order a dish I haven’t tried before – mascarpone, truffle and caramelized onion pizza. This one’s yummy! They even got us extra baguettes and orange marmalade. This was a surprise winner! I couldn’t even take my mind off eating his pizza. 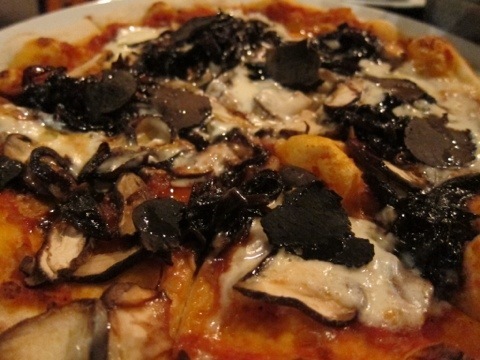 Look at one truffle shavings! Huge! This was my first time eating this much truffles. The smell emanates the moment the pizza was served. The combination with the tomato sauce was at first weird but it balances everything out after a few bites. Love love love this! Now, this dish I order every time I’m here. 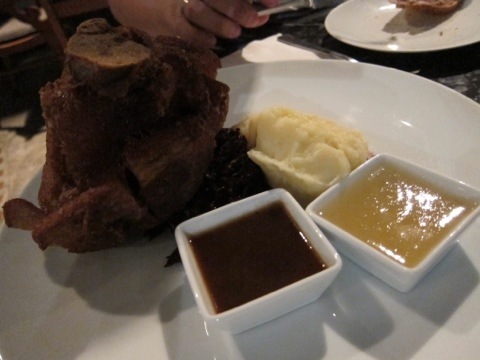 This is our equivalent of Crispy Pata. For some reason, I just find that theirs is healthier. It might be because of the apple chutney sauce or that the dish doesn’t come out oily. aargh, this post got me craving for ccseeehake. the baked ccseeehake looks so promising. so far ang best for me palang are Mary Grace and Purple Oven. The slow-roasted beef belly looks so delicious. the interior reminds me of the manila pen that’s well lit sans the massive head room. it does look cozy.